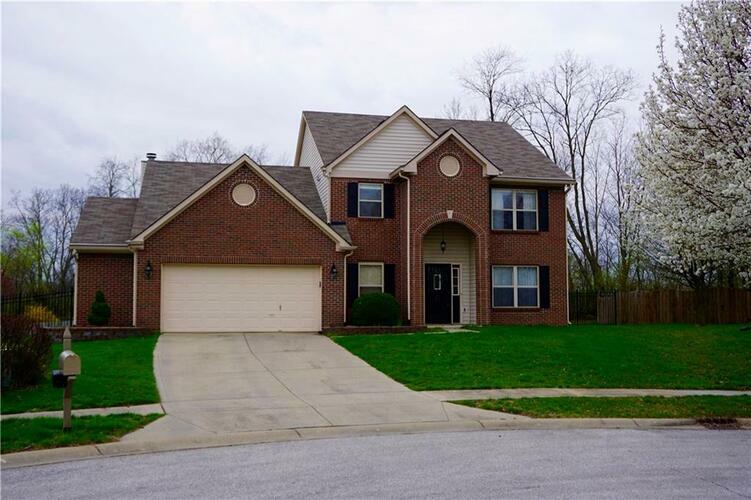 This stunning two story home has granite counter tops, beautiful fireplace, and a massive bonus room ideal for entertaining! The basement is a great place for kids toys, storage, craft room, or storm shelter. The massive back yard is lined with trees and has a perfect patio for grilling. The open concept makes living here a breeze. Bedrooms are all great sizes and master suite is massive with a huge closet! Come see cul-de-sac living at its best! Directions:WEST ON SMITH VALLEY FROM SR135 TO BRENTWOOD (1ST SUB PAST SUGAR GROVE SCHOOL) TURN SOUTH INTO BRENTWOOD CONTINUE BACK INTO SUB-DIV TO ALMOND CT.